The university’s Center for Lebanese Heritage organizes an event in memory of the late Karam Melhem Karam. Poet Henri Zoghaib, director of LAU's Center for Lebanese Heritage, introduces the speakers of the event dedicated to the late Lebanese novelist and journalist Karam Melhem Karam. The event was followed by an exhibition of Karam's publications and photos. 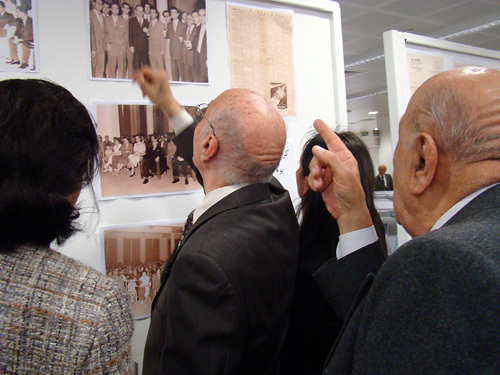 The exhibition was held in LAU Beiru's Riyad Nassar Library. 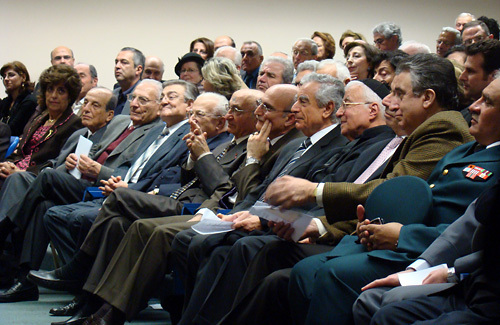 The event was attended by a number of political, literary, academic, religious and military figures. 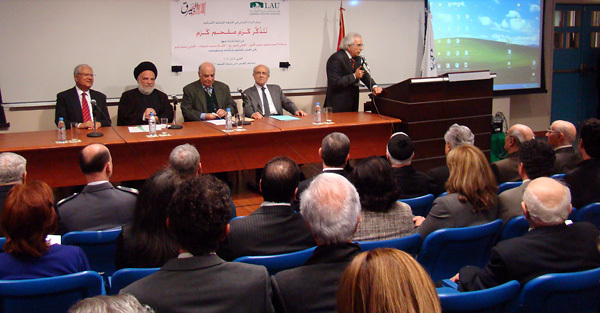 Held on March 7 at LAU Beirut, the event was organized on the occasion of the 50th anniversary of the UNESCO Palace Festival, which in March 1961 paid tribute to Karam one year and a few months after his death. Zoghaib then introduced the four presenters: As-Sayyed Mohammad Hassan Al Amin; former Minister of Justice Edmond Rizk; Mohammad Sammak, secretary-general of Lebanon’s Christian-Muslim Committee for Dialogue; and Issam Karam, former Bar Association president and Karam’s eldest son. Al Amin talked about Karam’s style of writing, which combined both classic and modern elements. He described Karam as the son of Lebanon and humanity, of Islam and Christianity, adding that Lebanese people are in sincere need for his presence today, especially his patriotic speeches. Rizk also stressed Karam’s patriotism and portrayed him as an eye emerging from darkness to obliterate darkness. He added that the importance of the memorial ceremony was not to retrieve the past, but to look forward to the future. Issam Karam spoke about the genuine moments he shared with his late father, recalling a discussion they had about the virtue of respect, and the respect of oneself. The presentations were followed by an exhibition of Karam’s photos, publications and letters in LAU Beirut’s Riyad Nassar Library. 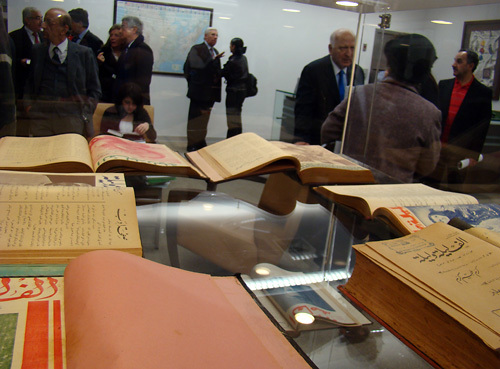 The displayed items included extracts from his articles in Alf Leila wa Leila (A Thousand and One Nights), the magazine devoted to novels that Karam founded after having worked with several dailies, and which he published for 26 years. CLH organizes its events the first Monday of every month. Its next event will be in memory of Shibli Al Mallat, known as the “Poet of the Cedars,” on April 4.